New Delhi: As recession fears grip economies, commodity prices in global markets have declined by up to 61% since July due to slowing demand, firm dollar and robust production estimates of farm produce. Similarly, while crude oil (Dubai) saw a fall of about 61% to $51.38 a barrel last month, the WTI crude oil fell 57% to $57.29 a barrel, it said. India imports 123 million tonnes of crude oil a year, about 75% of its local consumption. “Prices of crude oil have dipped following lower demand due to slowdown in growth in developed countries, better supplies and higher stocks in the US," the report said. “The rise of the dollar against the euro and the yen amid fears of inflation has caused the retreat from raw materials," it added. Investors, who viewed commodities as a hedge against inflation, are scrambling to get out, the report observed. Investors had earlier parked their funds with commodities to benefit out of the falling dollar, it added. Metals prices, too, came under severe pressure and declined by up to 56%. Copper saw the maximum fall in prices to Rs3,717 per tonne from Rs8,414 four months ago. Steel (rebar) prices have fallen by more than 30% to $683 a tonne from $980 during the period. Similarly, tin prices have dipped by 41% to $1,364 a tonne from $2,341. “The recessionary tendencies that have led to a decline in the demand for metals as growth has slowed down. China, a major user of metals, would also be demanding less of metals as the completion of the Olympics implies relatively less expenditure on infrastructure,“ the report said. Prices of palm oils dipped about 58%, the highest among agri-commodity segment, to $479 a tonne from $1,128 during the period, the report said. The industry has been demanding a levy of duty on edible oils to discourage cheap imports and ensure remunerative returns for domestic farmers. According to an industry estimate, palm oil accounts for about 85% of India’s total edible oil imports. However, the government has imposed a 20% import duty last month only on crude soya oil. Similarly, prices of the US wheat (HRW) have come down by more than 30% to $226.8 from $328.2 a tonne in July. Prices of rice from Thailand, the largest exporter, declined by more than 24% to $552 a tonne from $731.8 four months ago. Maize prices have seen a 38% decline to $163.8 a tonne from $265.3 during the period under review. 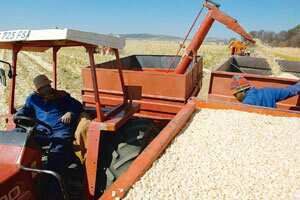 “Agricultural production is expected to be good throughout the major growing regions, especially for wheat, maize and oilseeds, which have exerted a downward pressure on prices," the report said.